But it is equally true that the thing in Mr. Shaw most interesting to himself, is the fact that Mr. Shaw is right. Mr. Shaw may have none with him but himself; but it is not for himself he cares. It is for the vast and universal church, of which he is the only member. In a 1537 dispute with the theological Odysseus Pierre Caroli, who demanded that Calvin prove his Trinitarian bona fides by subscribing to the Athanasian Formula, Calvin asserted that the Church catholic has no authority to bind men’s consciences, yet as so many sequels showed, the Church Calvin was under no such proscription, for Calvin and his company of Pastors found no end of ways to afflict the faithful of Geneva (albeit, with the intended end of saving their souls). Calvin lived in an increasingly militant world, one without tolerance for dissent, and this proved doubly so within Calvin’s Geneva. Calvin’s adopted city had a tight, rigorous moral order: no dancing, no card playing (card making was outlawed), the complete censorship of the theater (only plays with approved, Biblical themes were allowed), and complete oversight and control of education and all printing. Calvin sought to shut down ale houses, replacing them with wine shops where people would discuss theology; he never quite obtained this. For Calvin, there were no half measures, for souls and truth were on the line. Certainly militant Catholics stood on all sides ready to pounce on the Reformation, yet no other Reformation city took the measures that Geneva did. Calvin’s Geneva would become a model (dare we say, icon) worthy of veneration for all subsequent followers of Calvin, and most notably the English and New England Puritans. The Scottish reformer John Knox famously quipped that Geneva was the most perfect school of Christ since the time of the apostles. This certainly wasn’t the case when Calvin arrived, but by the time Knox arrived in the mid 1550s, it was. Before that Calvin had to do a lot of pruning: there was little room for weak Christians or ones lacking in proper conviction, that is, ones who didn’t see Calvin for the prophet he was, and Calvin certainly claimed to be a prophet. To his friends, Calvin was a warm if austere man; to his tormentors, he was the idol of Geneva. A prophetic ministry joined with moral rigorism, what Fr. Ronald Knox termed Enthusiasm, created an environment that had little room either for latitude in doctrine or for accommodation in public behavior, a straightened path unsuitable for the mere Christian. The Church should guard the deposit, as St. Paul admonished St. Timothy, guarding the sheep and rebuking the sinner. On those things that affect our immortal souls, no ground should be given. By contrast, while in the defense of the sacraments, the teachings of Holy Church on marriage, humility, and charity; its doctrinal pronouncements on the Incarnation, the Holy Trinity, etc., the Church stands valiant; but matters such as dancing, card playing (leaving aside the question of gambling), and the theater are all things Orthodoxy has left essentially untouched, relegating them to matters of prudence and moderation. Further, the early Church used pagan literature, including the Iliad, to teach its youth about reading, writing, and rhetoric. When the Neoplatonist emperor, Julian the Apostate, forbid Christians from using the Greek poets in their teaching, a priest actually translated the book of Joshua into epic meter. Once Julian died, the Church went back to using Homer. This episode tells us that the Church left to the wisdom and discretion of its people how to handle the pagans and the uses made of them. It is obvious that St. Paul had no trouble quoting them, for we have three different places in the New Testament where he did so. Needless to say, such liberties as translating holy writ into classical forms could not be taken in Calvin’s Geneva. By way of example, Dylan Pahman has already in this series mentioned the great humanist Sebastian Castellio. Castellio began his life in the Reformation attending to Calvin’s house when the latter lived in Strasbourg from 1538-41. Castellio accompanied Calvin back to Geneva, and there became the headmaster of the school. Castellio used Bible stories as a method of teaching Latin, with the stories and grammar becoming increasingly harder as the student went from Genesis onward. But when Castellio translated the Bible into French and refused to allow Calvin to edit it, Calvin refused to let him publish it. Castellio would later translate the Pentateuch into Latin, wherein he cast Moses as a great Renaissance man, gifted in theology, writing, jurisprudence, etc. Such a man needed a Latin idiom as befits his stature, and so Castellio used classical Latin in his translation. Though having been a preacher since his arrival at a village outside of Geneva, Calvin refused to let Castellio be ordained. Soon after the incident with the translation, Calvin had Castellio dismissed from all functions, ostensibly because he dissented from Calvin over the interpretation of the descensus clause in the Apostles’ Creed (“He descended to Hell”), and over the interpretation of the Song of Songs. Castellio was told that the Reformation was too fragile for dissent to be allowed. Castellio was cast into abject poverty for years till finally hired by the university in Basle. But Calvin never stopped being a thorn in Castellio’s side, and Calvin even tried to get him fired from the university, accusing him of being a thief: when Castellio was barely existing, he would go to the river bank every morning with a grappling hook to drag driftwood to the shore so he’d have something to heat his house with. For this Calvin openly accused him of stealing, and on several occasions harangued the magistrates of Basle to silence Castellio, but all to no avail. Castellio got off rather easy, but some had to endure Calvin’s direct displeasure for some years. There were a number of ministers in Geneva when Calvin first came to the city, and when Calvin was expelled in 1538 for not administering communion anywhere in the city on Easter Sunday, a number stayed behind. One of these was a Frenchman from Rouen named Henri de la Mare. De la Mare was one of the two ministers who wrote Calvin in 1541 asking him to return to Geneva. When Calvin did, de la Mare, who had been friendly with those who sided against Calvin, was promptly banished to an outlying parish, Foncenex, whose military marshal, Pierre Somareta, was a close ally to Calvin and completely corrupt. The parish church had no windows, no pulpit, and needed maintenance, but Somareta spent money sent for the parish for his own ends. The parsonage was probably worse than the parish, with a collapsed wall and a compromised roof. De la Mare repeatedly begged for monies, but he and his mostly peasant parishioners were simply abandoned. Further, De la Mare was a personal friend to a number of citizens completely at odds with Calvin, among them Pierre Ameaux, who had been a card maker who lost his livelihood to Calvin’s moral proscriptions. When Ameaux accused Calvin of being a tyrant, he was publicly humiliated, having to march through the streets in nothing but his shirt, and begging forgiveness from Calvin. Calvin’s animus toward De la Mare, however, actually goes back to De la Mare’s refusal to follow Calvin into exile. Calvin’s letters drip disdain for De la Mare. The neglect of the Foncenex parish can only be seen as pure spite: Somareta never paid any recorded price for his corruption, but thrived under Calvin. The historian William Naphy notes that it is difficult to see how this could be anything other than “a concerted attempt to make his [De la Mare’s] life miserable.” Geneva jailed De la Mare in 1546 for supporting Ameaux, and despite De la Mare’s contrition, Calvin and the company of pastors refused reconciliation. Thus, when the call came from Calvin and the company of pastors to sack De la Mare, the magistrates approved it. The magistrates did give De la Mare a letter of attestation, which allowed him to take a parish in Gex in Bernese territory, and they also reimbursed him for repairs to his parish that he had paid for himself. From Gex, De la Mare protested Calvin’s prosecution of Jerome Bolsec, who was jailed when he openly disputed with Calvin over predestination. And thus, De la Mare was able to end his days away from Calvin, but like Castellio, it wouldn’t be in Geneva. Perhaps the most celebrated confrontation involved the Genevan patriots, or as they called themselves, the Enfants de Genève. The Enfants certainly weren’t the most polite of people, but they and their families had sacrificed much in their revolt against Savoy and the expelling of the local Catholic bishop, events that brought the Reformation to the city. Calvin termed them the Libertines for their unwillingness to accept his moral strictures. Yet for the Enfants, having kicked out the foreign Catholics (the Savoyard rule), why did they now have to put up with French replacements? The Enfants had actually been key in getting Calvin back to Geneva after his 1536 banishment. One of the Enfants, Ami Perrin (sometimes the Enfants were called the Perrinists), had traveled to Strasbourg to accompany Calvin back. But Ami’s wife, Françoise, loved to dance, and upon a visit of friends from Basle for a wedding, the out-of-town guests convinced their hosts to take part in the forbidden, illicit activity (Basle had no proscriptions against dancing). Word got out. Geneva’s ministers would summon suspect people to a moral’s review board that met once a week, and twice on weeks when communion was to be served. And so summoned, Perrin and his wife, after much foot-dragging, admitted their sins. Eventually Calvin and his allies used the pretext of a disturbance, later transformed into sedition and open rebellion (though not so thought at the time), to execute and banish a number of the Enfants, and thus pave the way to the full implementation of Calvin’s vision for a righteous commonwealth. Many of those banished actually fled before they were arrested. Many were condemned to death in absentia. There is a line to be marked between morality, an observance of the commandments, a keeping of the path of love and duty enjoined by the Church, and an overly-scrupulous moralist busybodism. The latter arises from two related items: the denial that human nature is naturally virtuous, and the belief that standing in God-ordained positions means acting not merely for the honor of God (which should concern all Christians), but that in so doing assume one actually speaks for God. Virtues, says St. Maximus the Confessor, are in us naturally, and habit and discipline help effect them, and help make us virtuous people. Prudence, moderation, courage, and justice (as the four cardinal virtues), while given lip service by Calvin, often in practice were completely slighted, for if we are totally depraved, how could it be expected that we would act virtuously? Thus, people were not left to work out their own salvation with fear and trembling, and as Milton ironically put it, “the new presbyter is but old priest writ large.” Yet in Calvin’s Geneva it was not just that people were not trusted with their own salvation, it was also a matter that Calvin demanded compliance to his own vision, so that dissenters such as De la Mare, the Enfants, and Castellio had no place within his commonwealth, for they stood as contradictions to God’s prophet. Calvin’s assurance on this point, set out in detail in letters to an erstwhile colleague in Geneva who returned to France and to the Roman Catholic Church, bears evidence why Calvin, sitting as he were a prophet in his new Jerusalem (it didn’t matter that he wasn’t ordained, he had been called directly by God to his ministry), could brook no dissent, and could have no room for anyone not given to the truth of the prophetic vision. Thank you for this post. I knew some of this, but you have expanded my knowledge. It explains a great deal about certain attitudes in modern American Christianity. Though a sad reality, excellent job Prof. Jenkins. 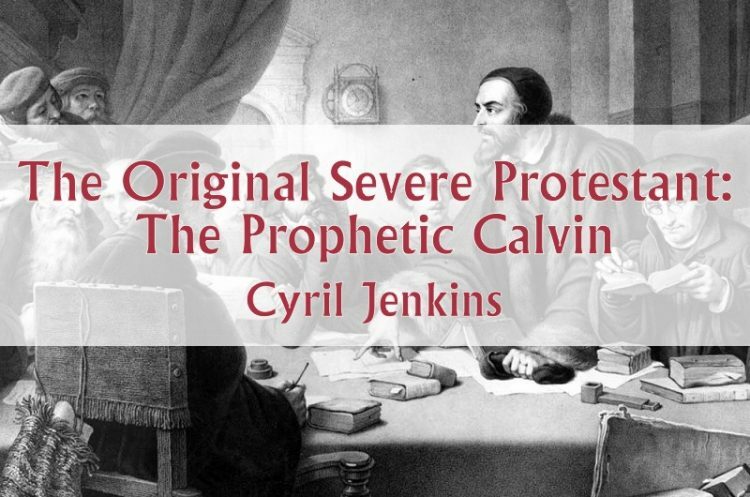 It was shockingly sad in my journey to Orthodoxy to learn the truth about Calvin, a hero I had once revered above all. In all my considerable protestant reading, I’d not dare to read one non-protestant critique of him or Geneva. It never occurred to me what a insulated bubble I lived in. Your article above dovetails well with the para below from a review of Father Josiah Trenham’s excellent book Rock and Sand. It was unfortunate that John Knox took back these attitudes to his native Scotland. A lot of harm was done in Scotland and Northern Ireland. The Scottish and Irish diaspora took this mode of life to Australia, New Zealand, Canada and the United States as it formed. The production of so many atheists and agnostics in that diaspora caused by reaction to these views is quite understandable. Jaroslav Pelikan in “Fools for Christ” foreshadows such ‘moralism’ when discussing M. Luther’s observations of the inadequacy of goodness. 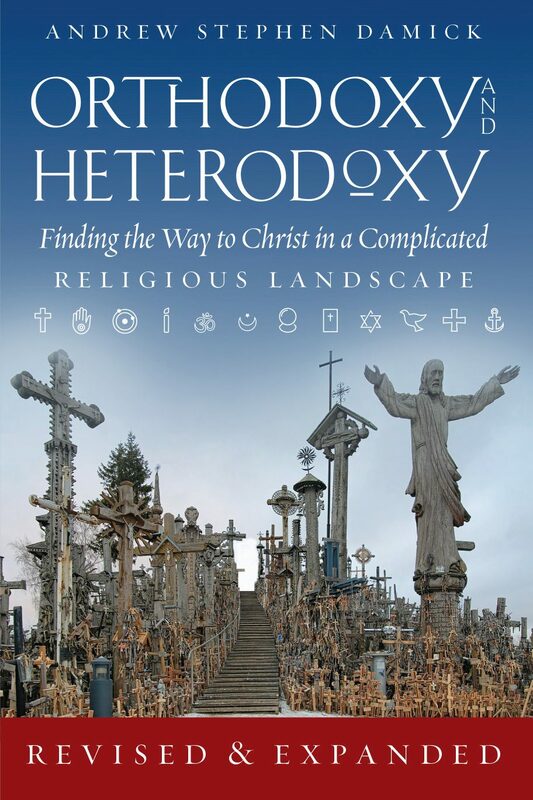 “The Goodness of God stands out when contrasted with systems that make a god out of goodness.” p.86.